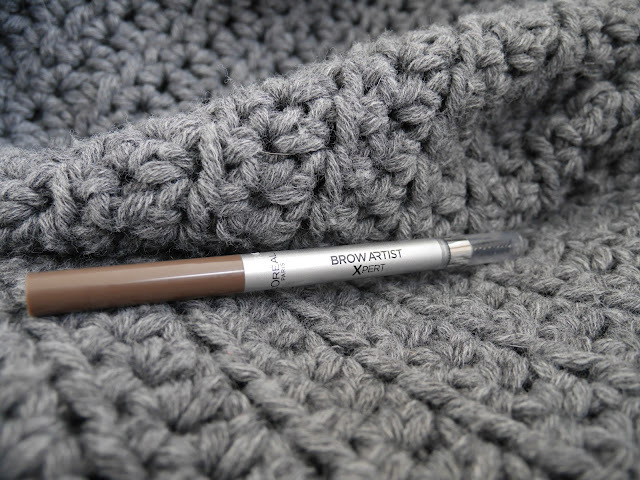 Today I want to talk about browpencil that you can get in your drugstore! 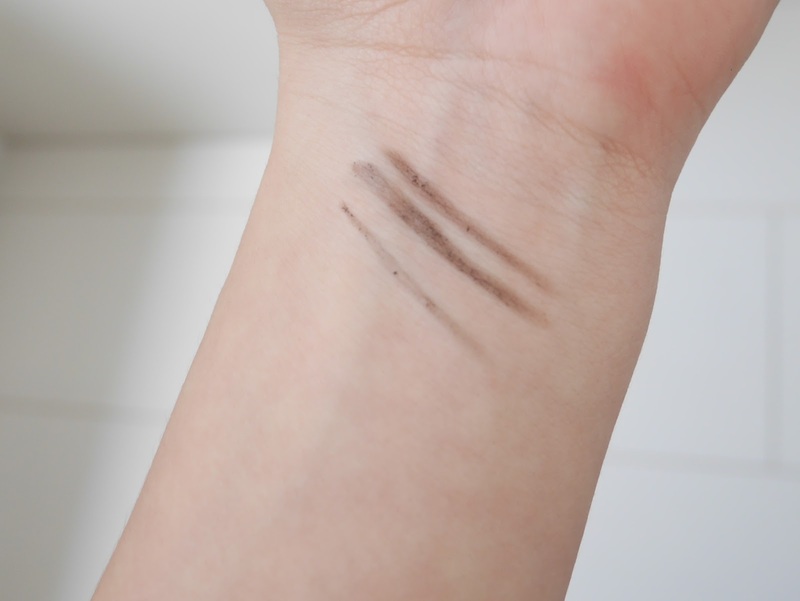 I love browpencils. I love my Colourpop Brow Pencil in Dope Taupe and myHema Brow Pencil in 09! I use them much more than my brow powders. And new there is a new brow pencil in the drugstore! Introducing Brow Artist Xpert, our 1st retractable brow pencil for perfectly defined, fuller looking brows. Available in our largest shade range, so you can find your perfect match for natural-looking brows. - Soft styling brush to groom brows into place and blend for a natural finish. There are 3 shades : 102 Cool Blond, 105 Brunette en 109 Ebony. I have the shade 105 Brunette. Lets take a look at the product. The brow pencil has 2 sides. The pencil side and a brush side. The pencil has a triangular shape. It reminds me on the Anastasia Beverly Hills Brow Definer. The shape and the packaging. 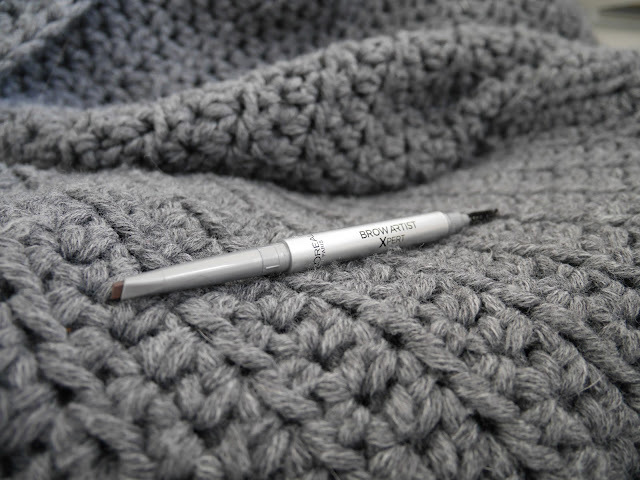 A close up of the pencil. I never used a pencil in this shape. I am very curious if I will like it or not. The pencil feels nice and soft and has a nice pigment. But there are some darker spot at the swatch. Lets test it on my brow's. Here I have nothing on my brow's. I have to get them done. So don't mind the current state of them. The pencil is nice and soft. You can fill in your brow nice and precise. I love the color! It is nice and cool toned. A lot of budget eyebrow pencils are to warm for my brow's. I think that a lot of people will love this brow pencil! 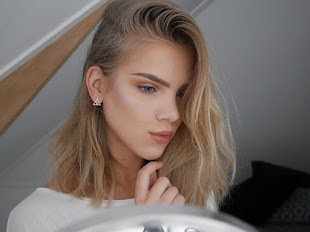 I love it on days that I want a natural brow. 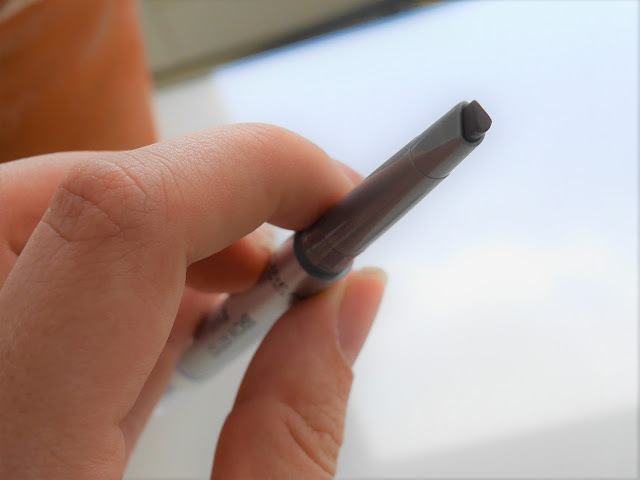 I still use my Hema brow pencil for the days that I want a more prominent brow. When you can find a color that matches your eyebrows than I highly recommend you to try this pencil!. In the Netherlands you can get it at:Bol and Kruidvat for:€10,99 . In the UK you can get it at:Superdrug for:￡6,99.